GAL APPROVED! Dark and Lovely Model Contest! You know you’re a fashionista. Now let the world know it. SoftSheen-Carson® Dark and Lovely and Essence are searching for the next Dark and Lovely Model. The winner will win a trip for two to New York City, a hair makeover by SoftSheen-Carson’s Artistic Director and celebrity hairstylist Johnny Wright, and a $5,000 shopping spree with celebrity stylist Carlton Jones. The search kicks off right here in the DivaGals playground, New York City. Dark and Lovely is hosting a live audition at the Metropolitan Pavilion Wednesday, June 15 starting at 5 p.m. Ready for your close-up? Enter at www.essence.com. GAL APPROVED! 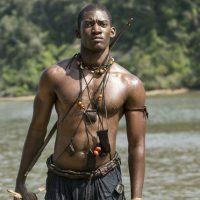 On The Roots Red Carpet With the First Kunta Kinte (WATCH)! Plus: Hot Rooftop For Cocktails. Eating and Drinking … For A Good Cause! GAL APPROVED Weekend Edition: Bria Murphy’s Haircare Tips, FroYo Healthy & Holiday Fashion in July! I am interested in your next Dark and Lovely contest and would like to be notified by email.i believe I can be the next dark and lovely/Don't mean to sound conceided I'm just convenced. please email me about your next dark and lovely audition! im 18 years old from south africa, i want to know when are the auditions for next face of dark n lovely for 2013 ??? I would like to know what to do to apply to be the next Face of Dark and Lovely. and how old should you be to enter. I'm 18 years old and interested in the Dark & Lovely contest ,please do keep me informed via email. I am a really confident person and would love to be the face of Dark & Lovely thanks. send us a picture and we'll send it to our friends at Dark and Lovely. I'm a 20 years old lady..from South Africa. I would like to get info by mail on how to enter for being the face of dark and lovely, and if there is a specific age restriction. I have my hair portfolio that I would like to send to you so that I can be considered as the next Dark & Lovely ambassador when the opportunity comes, I reside in South Africa. Please kindly provide me with the relevant email address to send it to. I am 38 and I'm interested in being on your dark and lovely relaxers. I have a Marketing degree and I would love for my hair styles to be advertised. I currently have a relaxer, but I can be a natural beauty as well. I would to show off my hair since I have been using Dark& lovely products for more than ten years now and everyone says my hair is very nice and what product do u use? So I would like to make it official by being dark & lovely model. 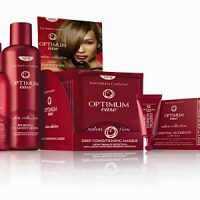 I am a young and beautiful South African girl with a long;beautiful hair that I am proud of.I think I can change my life and make people see that your product is one of the best. If you could only notify me if there are competitions available for young girls.